This lady in the foreground looks like she’s having a good time! We have no idea who she is as there are only two pieces of information on the record card for this photo. 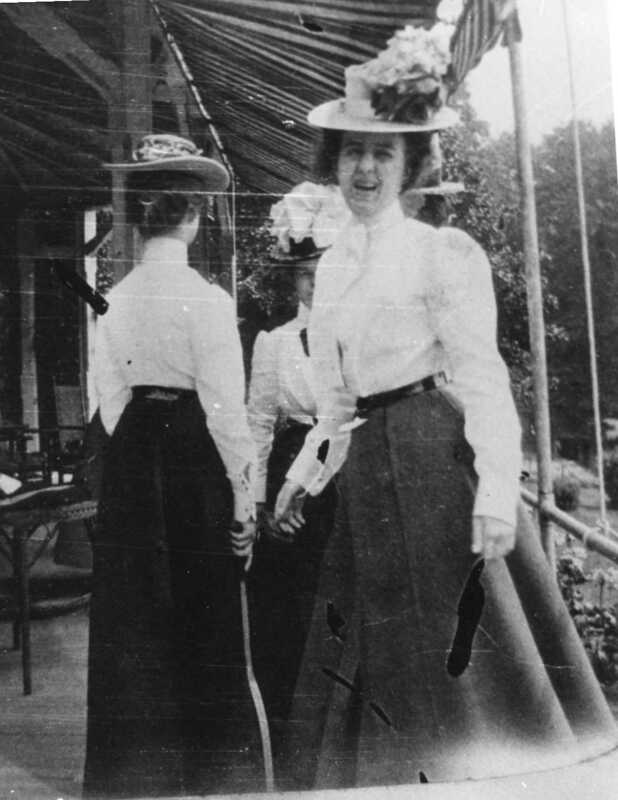 The subject is “Drake Photo: Huntington Valley Country Club,” and the date is May 28, 1900. So if you recognize where the photo was taken or, even better, if you know who the laughing lady in the photo was — let us know! 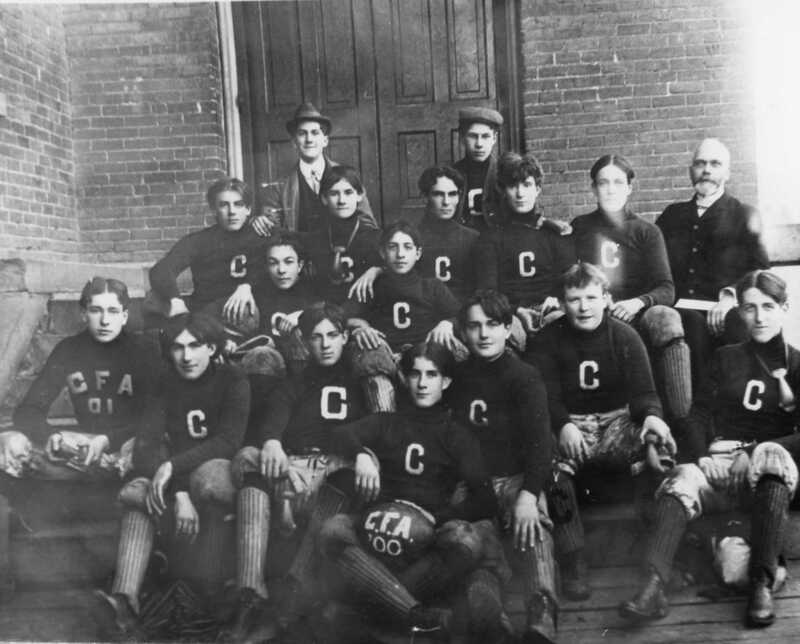 The record card for this photo gives the subject as “CFA Football Team” and what a dapper group of young gentlemen they are! There is no information listed on the record card as to who the sportsmen in the photo are — so if you know – let us know!